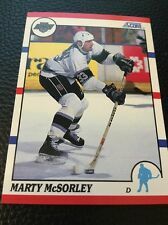 Player: Marty McSorley. Set: 1996-97 Pinnacle Rink Collection. Year: 1996. Manufacturer: Pinnacle/Score.